Texture and Color! 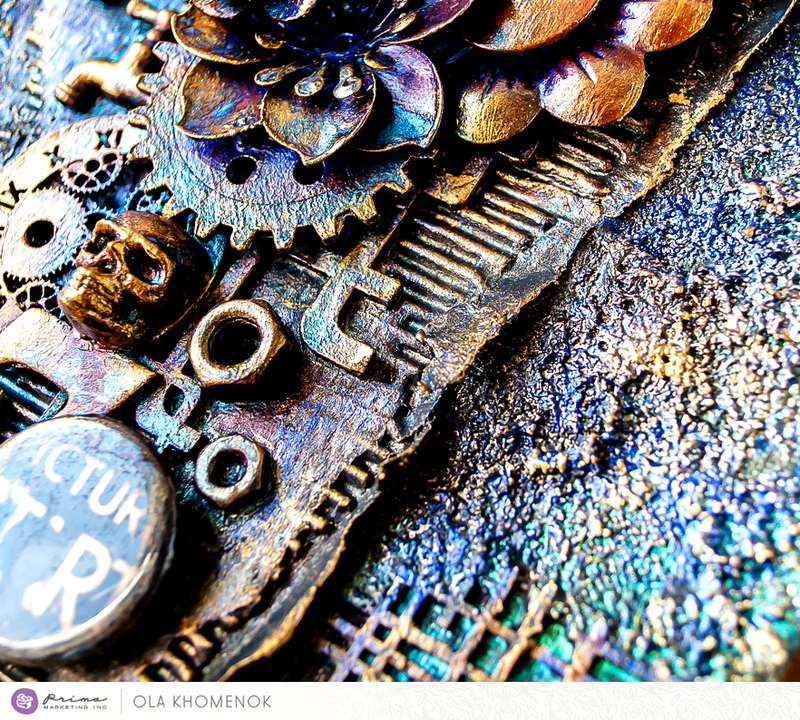 These are just two beautiful components of Ola's mixed-media canvas. If you have always wanted to try your hand at this now's your chance. Watch Ola as she shares how she created this stunning piece from start to finish...all with Prima products! I really love all Finnabair's products! They are very high quality and perfect for all mixed media styles! One of my favorites styles is Steampunk. But this time I wanted to create a Steampunk project using not typical colors to this style. So, my Steampunk is combination of blue, red and orange. You welcome to watch the creative process in my video tutorial. Make sure you are following us on YOUTUBE! We post fresh, new videos there several times a week!